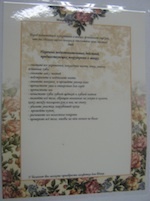 Laminated, full color border checklist. Measures 8.5 x 11 inches. Russian.